The same is true for appraisers who might not understand the difference in pocket communities. Large cities often have areas that are referred to as pockets where the value of homes in a six-block radius is substantially higher than just a few blocks away. 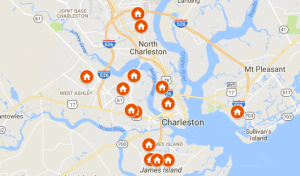 If an appraiser doesn’t understand the way the pockets work in Charleston, they may pull comparable property data from the less desirable community skewing the final appraisal. Don’t choose either a property inspector or an appraiser based on price. While there are many expenses going into a property purchase, the cheapest doesn’t determine the best or the worst for these tasks. Take the time to review costs and understand the average price of each in Charleston. Then review the credentials and talk to local realtors to find out who is commonly used. You’ll find that many different realtors use the best providers regardless of what realty company they represent.